“The Girl in Flower” was born from my desire to offer children a luminous book that will make their hearts happy like the wings of a butterfly just learning to fly. I chose a nice, kind-hearted little girl named Rose for my character, coming from the most ethereal place on earth – the inner world of flowers. She was born in a Royal Rose cradled by sacred music composed perhaps by God himself when he took a rest after having painted the multicolored petals of flowers. Rose wants to know what life on the outside is like, and how people appreciate flowers in the world, so she leaves the “rose home” and finds herself in a place she knows nothing about. In the Thomases’ garden, where the Royal Rose grew, she chances to meet Little Rainbow, who will become her companion on a fascinating journey. Unfortunately, some children break the stem of the Royal Rose with a football, and Rose is afraid she will have no home to return to. Her new friend takes her to the Good Rainbow Palace, where she has the chance to meet his mother, the goddess Iris – sometimes a messenger of the gods to the humans – and Great Rainbow, who travels the earth after rain storms to paint the sky with beautiful colors. The teacher also tells the girl she will have to return to the garden every night to water the Royal Rose until it comes back to life. 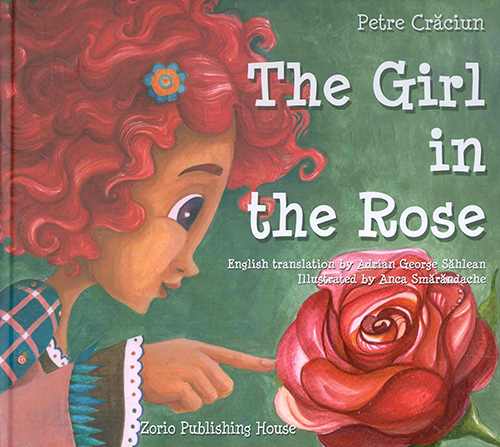 Following the Teacher’s advice and accompanied by Little Rainbow and the goddess Iris, Rose meets with seven symbolic characters: The Lover, the Researcher, the Flower Merchant, the Mountaineer, the Spoiled Brat, the Old Lady who gives away flowers, and a key character – the Hermit – from whom she has most to learn. The Lover is a man of about 35, who has gone for years to the Botanical Gardens where Aechmea Fasciata, a flower that blooms only once in a lifetime, grows in a large pot. He dreams of giving the blossom – the size of a man’s hat – to the woman he loves. And the flower blooms after Rose’s visit, revealing to the man a mystery that no one on Earth can know: plants sing when they are happy, and are happy when they bloom. The meetings with the Researcher, the Flower Merchant, the Mountaineer, and the Spoiled Brat are no reason to rejoice for Rose. For the Researcher, the plants are a mere object of study; for the Flower Merchant, a means to increase his wealth; for the Mountaineer, the eccentricity of one who collects rare Edelweiss Flowers; finally, the Spoiled Brat for whom there’s no greater pleasure than to trample flower beds. Quite touching is the meeting with the Old Lady, known as “the woman who gives away flowers.” She seemed a bit strange because – although she came to the subway entrance to sell flowers so she could buy food – when someone stopped to ask the price of a bouquet, she took a very long look at the person, as if examining the face for a portrait. She looked at the features, but above all the eyes. If she did not like what she saw, and felt the person was dishonest or phony, she would demand an exorbitant price. Then the person would shrug and move on. Some even wondered if she was crazy. Truly memorable is the meeting with the Hermit. He is an old man over 70, who once had been a philosophy professor, and the son of a great logician. He had left the civilized world 20 years before, unhappy that he could not find answers to the most important questions troubling him. He lived in isolation, praying to God focused on a red rose much like that where Rose had been born. “Children and flowers have the utmost purity. I believe God shares his thoughts through them. Sometimes through birds; not all of them – only those that fly closest to His Feet… All we need to know is how to understand the thoughts spoken by the Almighty in this way. For my part, I pray to the Lord, and the rose conveys my prayers. And I get answers faster than you might expect.” – the Hermit reveals to Rose, Little Rainbow and godess Iris. The girl returned to the Royal Rose for a short time, then moved to the Good Rainbow Palace. Along with Iris and Little Rainbow, she takes frequent trips on earth, talking to people about love, purity, and the beauty of flowers and children. She is called the Girl-in-the-Rose, and people love her. She stops frequently at the Thomases’, who rejoice in seeing her as if she were their own child. Other times, she visits the Researcher – who meanwhile, discovered two new species – or the Lover, living happily with Sophia, who is now his wife. The Mountaineer has given up his search for more trophies, content with the four Edelweiss flowers he had found in the mountains. The Flower Merchant goes quietly about his business, bragging to everyone that the goddess Iris, the Girl-in-the-Rose, and Great Rainbow’s son had visited his shop – and that his business is booming. The Spoiled Brat has mellowed, for fear of being made a fool of in the Children’s Universe Magazine. If he had been curious enough to look for it, he would have discovered that there is no such magazine, just a simple invention of Little Rainbow’s. The Hermit continues to live in retreat, away from people, keeping in touch with God through his red rose. For a while, the Old Lady continued to give flowers to good people – but one day, she disappeared. If you want to know what happened, ask the peony in her little garden. It will tell you that, on her way to other horizons, she lingered a while to better know the soul of the flower she had loved the most. Little Rainbow continues to take lessons from his father, so he can one day become a real rainbow – the Arc of God, which gives people so much delight. The goddess Iris still brings joy to lovers and poets, unveiling the sky’s canopy so that everyone can admire the stars. And Rose… Rose enjoys her new family’s friendship. When she misses her parent and her childhood room, she journeys to Red Rose, where she can still feel the parental warmth and experience that sacred music. It may even have been composed by God, when He took a rest after painting the petals of flowers in so many colors.